"Liar" is the story of ADAM, who has social anxiety. After accepting to go on a date with his co-worker, RACHEL, he turns to his therapist, DR. BERNARDSON, for help with the matter. What follows is a distorted and distressing role-playing session where they recreate a possible date. In his head, ADAM predicts all sorts of obstacles that the real date might offer. Production dates will be from 26th-29th June. Rehearsals will be scheduled according to actors/producers availability. Adam is a young man suffering from extreme social anxiety. He is a creative dreamer that finds solace in his work as a graphic artist. The out there life, however, is something that terrifies him. He prefers to live mostly inside his head, where his rules are made only by him and his wild imagination runs freely. A feisty, bright and professional young therapist, she is ready to take the risk and improvise in order to help her patients. She also believes that the key to truly help also comes with an approach based on feeling, mutual trust and a personal connection to the her patients. Adam is one of her long lasting patients, regularly visiting her for the past three years. A young woman full of energy and life that happens to be fascinated by her co-worker Adam whom she asks for a date. She is the life of the party, dominating the room with her natural leadership and assured posture. Spotting Adam and seeing what others do not see, she’s determined to discover who he really is beyond his introvert shell. 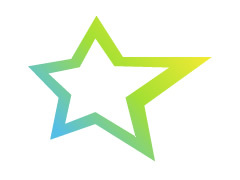 Want to be a StarNow ambassador? Apply free now!